Unity Stamp Company: Sunday...FUN Day! Good morning! As design team members, we take turns posting on this blog through out the month and we don't always get to show all of our projects. 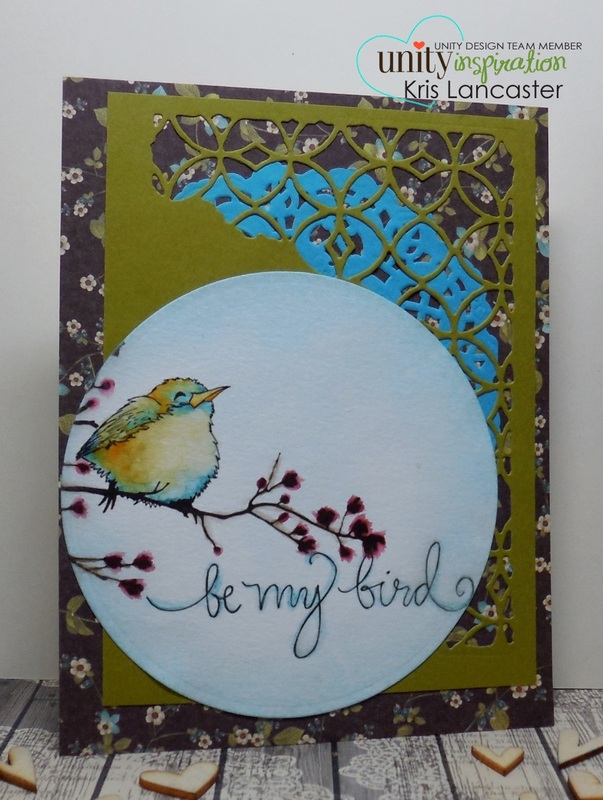 So today, I'm going to share a couple of cards from the April KOTM-Be My Bird. First up is a card featuring the image and sentiment that inspired the kit's name. It is colored with distress markers on watercolor paper. The green panel behind the image has been die cut with a Tim Holtz/Sizzix die and there is a little piece of doily between that and the card front. 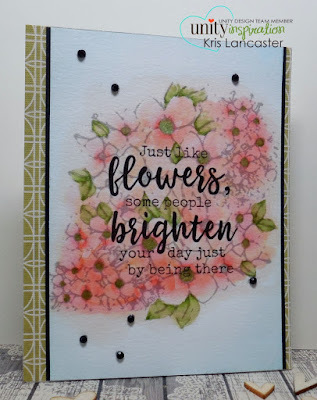 On this next card, I first stamped the floral image on scrap paper and then stamped it on my watercolor panel to get the softer gray. To make sure the sentiment was bold as could be to stand out on top of the colored (again, distress markers) background image, I used a stamp positioning tool (in this case my MISTI) and stamped it 3 times. So tomorrow is May (already???) and there will be a new KOTM. You can still sign up to start with this one today. Just click on any of the bold links in this post to get all the details.